Home » Cheats » Have You Received Your MTN Compensation Free Data For Browsing? Have You Received Your MTN Compensation Free Data For Browsing? I don't know if anyone of us experienced the downtime on MTN network? The downtime started few days ago, whereby there was no service to make calls and even browse. There was a big panic from Nigerians regarding the downtime on MTN, cos many were expecting alerts from their company where they are working, while some were trying to make an urgent call. 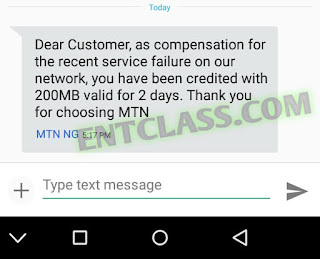 Having said this, MTN has resolved the issue regarding their network downtime and compensated affected customers with data bundle to browse. Some were given 100MB, 200MB, 500MB and even 1GB of data to browse at a very short validity period of time, depending on the amount of data received. If you received 100MB, you will be given 1 Day validity period to browse with it. If you received 200MB, your validity will be 2 days; and so on. 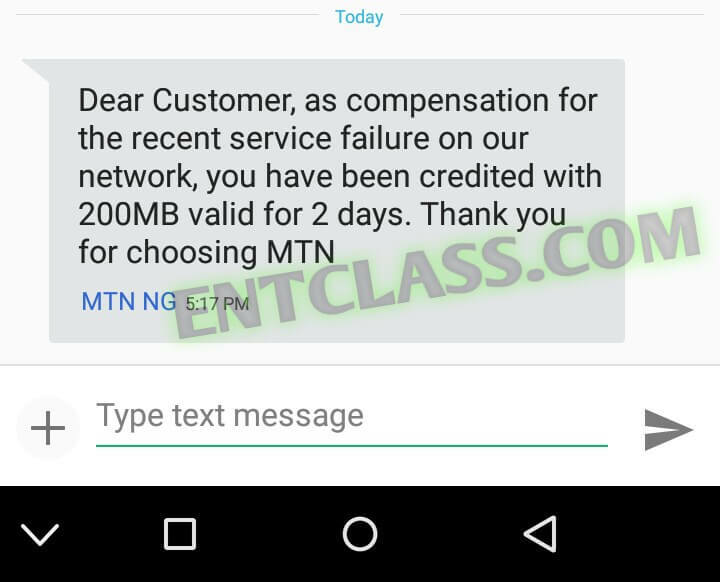 I just received my compensation data of 200MB from MTN to browse and download, valid for 2 days, as seen in my screenshot below. You can check your data balance by dialing *559*2# or sms 2 to 131. The data is usable on PC, Tablet, Android, iOS, iPad and any other device that can access the internet. Were you affected too? Have MTN compensated you with data? And how many data did you received? Kindly comment below. MTN compensation free data for browsing. MTN giving out free compensation data for browsing. MTN compensation data code cheat. Hahahaha I didn't get it at all in all MTN line. Were you affected by the network?